ANYONE BELONG TO THIS GROUP? IS IT WORTH THE FEE TO JOIN? IS THEIR MAIL FORWARD SERVICE AS GOOD AS THEY CLAIM? GOING F/T APRIL 1, 2012 -AND THAT'S NOT JOKE :>) - LOOKING FOR GOOD RV PARKS AT A GOOD DISCOUNT AS WELL AS A GOOD MAIL FORWARDING SERVICE. 2012 - 31 foot NEXUS Class C with one slide out. We have been Escapees members since 2003 and think very highly of the organization. We do not use their mail forwarding but know many who do and they are happy. We do stay at Escapees parks when we can and find them mostly friendly and a good value. For us, Escapees feels more like family. As our friend Nick Russell of Gypsy Journal likes to say, "We are members of XXXX (FMCA, Good Sam), but we are Escapees. Thanks Bill for the feedback I am going to look into it more. Appreciate your help. We're not full-timers yet, so we have no personal experience. From reading posts on the Escapees forum and from posts on this forum as well, it appears that folks think highly of the SKP mail service. This link provides some info. : http://rv-dreams.activeboard.com/t39759451/mail-delivery-service. There are other posts as well if you search "SKP mail service", but the link above is geared more towards your questions. Hope it helps. The mail forwarding service is excellent. We have used it for many years and never, ever had an issue. You can call any day you like, as often or little as you like, you can have them check for mail you are expecting to ensure it has arrived, they discard or send bulk mail as you choose. Thanks Bill & NINK - Once we start F/T-ing in April joining ESCAPEES will be one of the first things we do - perhaps a few weeks before we start out - so we are in the system. We have been members since 1999. And we use the mail service. Like Bill said, it is pretty much flawless. There are many benefits to memebership, not the least is which the mail service and the parks. It is definately worth investigating closely. If you have wuestions we are happy to answer them - you can email us if you wish. Email is on our website if not on our profile here. Thanks Jack - we will be joining just before we go F/T April 1, 2012 - thanks for the feedback. We have been SKPs for 10+years. The magazine is my #1 priority the day it comes in. Supper can wait. Seriously, there is lots of good information and their annual fee is reasonable. Unlike Good Sam's we don't get tons of junk mail with our active membership. Parking fees discount-wise, we have found not many CPG offer a SKP discount, so we don't renew each year for SKP discounts. And their parks are often waaayyyy off the beaten path or have a two-week must-move policy. We renew each year and have been Escapee members because they are a great group of knowledgeable RVers, started by an authentic couple who believe anyone who likes RVs is worth sharing information with. When we meet a new or wannabe RVer, we always recommend they join Escapees vs. Good Sams. Their mail program is as good as others - you must be an active SKP member to use their mail service, and would then be a Texas resident. 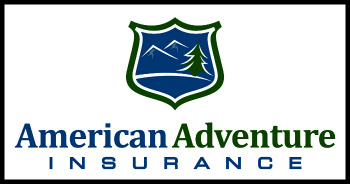 Their commercial members - especially insurance and emergency services - cater to RVers, mostly full-timers. The HOPS and rallies are plentiful, and located all over the US - wherever you happen to be. Their BOFs are as good as the group that hosts them. "HOP = Head Out Program: Attending a HOP does not mean just having fun, enjoying the sights of a particular area, eating delicious food, being bused around to the venues for that HOP (when applicable); it also means forging lifelong friendships and memories. Each HOP is unique. Some involve touring and some involve concerts, while others consist of activities such as rafting or 4x4ing. HOPs also include cruises, usually one short cruise a year and one or two longer ones each year. When meeting attendees from various HOPs, you may hear them talk not only about what a great time they had on the HOP, but also about a particular memory that they came away with, such as “Where’s the key?” from the Grand Canyon Train Ride HOP. Or standing in cold water and smiling at each other on the Extreme Rafting HOP, a necessity during seven days of rafting down the Colorado. Or the Hummer that couldn’t during the Creede Outdoor Adventure. BOF = Birds of a Feather: A BOF group is a group of people who share a common interest. They are not a chartered chapter because they are in no specific geographical area, but they are similar in that they meet at each Escapade, they may hold rallies, and they generally have their own newsletter. They are more informal than chapters and do not require bylaws and officers, but must abide by directives and be approved by National. Some BOFs meet only at Escapades, while others also hold rallies between Escapades. There is no charge to join a BOF, although most require a small fee to receive their newsletter if they publish one. Certified groups require a minimal fee to join." Escapees is a wonderful club. We do not see it as a 'discount camping club', we see it as being an advocacy group for fulltimers. If anyone is only looking for a discount camping club, look elsewhere. Escapees is waay more than that. Like rvingft said, the magazine is informative. I look forward to it's arrival in the mail also. Some people join solely for the mail forwarding service, which is the best there is, bar none. We used the mail forwarding service for approximately 6 months. LOVED it, but changed our domicile, and transferred it to our current service. Never had a problem with it. I cannot say the same for my South Dakota mail forwarding service, which we have had for 6 years. Kathy, Bruce and RocketDog living the dream! Thanks rvingft and Kathy - sounds like a good organization to join. rvingft - what do you mean by---"Their mail program is as good as others - you must be an active SKP member to use their mail service, and would then be a Texas resident."?????? It's the "Texas resident part I don't understand. That part is incorrect. You do not become a TX resident just by using the Escapees mail forwarding service. How does that work, Bill? I've always assumed that your residency state would be determined by your mailing address. We intend to maintain our FL residency for simplicity and figured we'd have to find a FL-based mail forwarding service. Here is Howard's take, http://www.rv-dreams.com/home-base-selection.html, but it really does not answer the question. A mailing address does not make you a resident or snowbirds with multiple addresses would be residents of multiple states. You get to choose one state to be a resident of but it does not have to be your main mailing address. We know multiple people who use the Escapees mail forwarding that get a small amount of their mail sent somewhere else since that other address is their "residence". That location is where they vote, have their vehicles registered and their health insurance is out of. They choose a relative or someone else trusted to forward this mail to their mail service. It is very nice to have "one address to rule them all", but not required. You don't even need to bank in the same state, in this modern age people often keep the bank they like when they move and use internet banking and direct deposit. But Florida does have decent mail forwarding services. Good Sam is in Pensacola and some good friends have used one in Merritt Island for years. If you own a place in a state and actually live there much of the year, you are a resident even if all of your mail goes somewhere else. I have been a FL resident since 1997 and I have a FL drivers license. I use Escapees as a mail forwarding service. The 2 are not related unless you choose to use Escapees, get a TX drivers license and follow the TX residency requirements. I also have questions about Escapees and Passport America. We are using "Your Best Address" in Sioux Falls, South Dakota for mail forwarding. Wonder if it is the one mentioned above that is not as good as Escapees?? We have not finished the process as we have not taken delivery of our RV yet. A little off this subject but just wanted those that might be interested to know that we got an insurance quote on our tow vehicle and RV from one company that is supposed to specialize in best rates for RVers and was told that North Carolina rates were lower than South Dakota. I called Dougherty Insurance in Sioux Falls as suggested by "Your Best Address" and we are paying about half what we would have paid had we registered our vehicles in North Carolina. If buying new, get full replacement cost coverage. Also, questions about reduced campground fees - Escapees v. Passport America. We are about a week or so from going on the road headed to South Dakota to get our driver's license. There are basically no Escapees discounts at regular RV parks but there are a few Escapees RV parks where the pricing is very good. Our travels have only taken us near an SKP park about 5 or 6 times and 3 of those were the same park in Deming, NM. Your travels may be different so you can look up where the SKP parks are located and possibly plan these destinations. PA offers discounts at off time and off seasons and often only for a day or 2 or 3 so the length of time you stay at a location and when you travel will effect the overall savings but it's nearly impossible to not save more money in a year with PA than it costs to sign up if you (again) plan ahead to find the PA parks (lots and lots of these) near you destination. Good Sam is the most likely discounted option at RV parks (usually 10%) with FMCA and AAA in 2nd and 3rd (IMO, I am not humble ). There are regular RV parks that offer a SKP discount, usually 15%. The few SKP parks we have stayed at all had $5/night drycamping available, very nice when traveling and just need a place to park and get some sleep. Dream Catcher in Deming NM. is right next to I-10 and makes a great rest stop. We plan on spending 2 + weeks at each place we stop. We intend on spending next summer in Nova Scotia at 3 - 4 different RV parks and then onto Old Quebec City (our favorite place) for Autumn. Our style of RV-ing will not be a night here and there with a lot of driving in between. I would hope not to drive more than 4 hours between each lengthy stay - We are not boondockers so we will carefully plan and reserve each stop - Tis we own ting! I like their forum. Thinking of joining now. Only memberships are Good Sam and FMCA right now. Hi, I have been a member of Escapees for years. They have a very useful forum, I rarely had the opportunity to stay in their parks though. I have obtained discounts from vendors. I do use their mail forwarding service. I do use them to maintain a Texas address, and I do register and insure my vehicles in TX. When I eventually grow up and retire, it will be in Texas. The Park in Livingston is VERY nice.